Topics: Aintained By T, and Amarack Business Solutions. It is hosted by Internetnamesforbusiness.com Florida, using Apache web server. There are 3 Nameservers, ns3.meganameservers.com, ns2.meganameservers.com, and ns1.meganameservers.com. 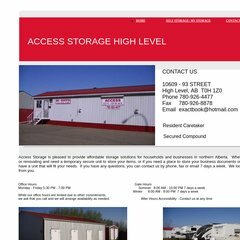 Access-storage-hl.com's server IP number is 216.251.43.13.